We are an independent magazine team based in Seoul, Korea called Dear Magazine. 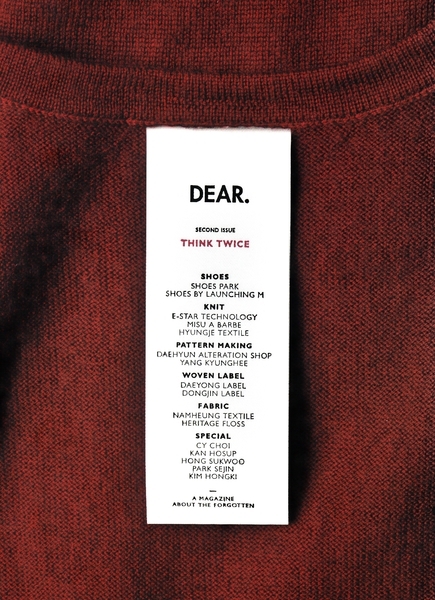 Dear Magazine focuses on the fashion production industry and small trader and enterprises in Korea. We visit production sites (factories) and listen to the voices of the people who have quietly but diligently worked for the Korean fashion industry.